Good Basic SSD. 500GB are needed nowadays for OS plus some programs. Western Digital disk drives have proven to be very durable. Went with the 2.5" SSD instead of M.2 in order to be easier to swap between systems when required. It is fast and works, its hidden away so looks do not mater. Very fast SSD, great price to performance ratio. No complaints anywhere. This SSD is lightning fast, at least for me and I couldn't be happier with it. Nice drive for the price! Boots into windows super fast, and games with long loading times are no problem for this SSD! 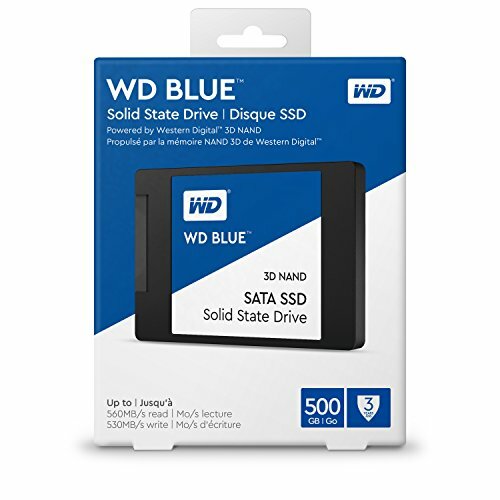 Definitely a good ssd, got it on sale for $88 when 500gb ssds were going for $100 - $110 on average. Performs well and is definitely some good competition to that of the 860 evo.